The Polywater® Front End Pack™ is a plastic, lubricant-filled bag. It lubricates ahead of the cable during the pull. 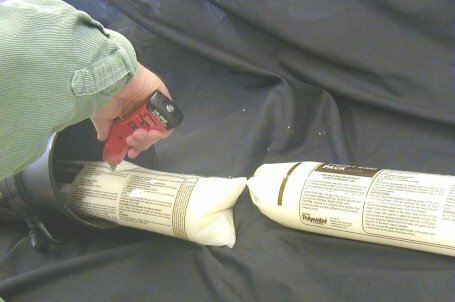 It eliminates the need for hand application in many pulls. Proper Front End Pack™ use lubricates far down the conduit where normal lubrication is inadequate.